This is a 7 rows Coltsfoot Flower baby blanket pattern that uses quite simple crochet stitches. 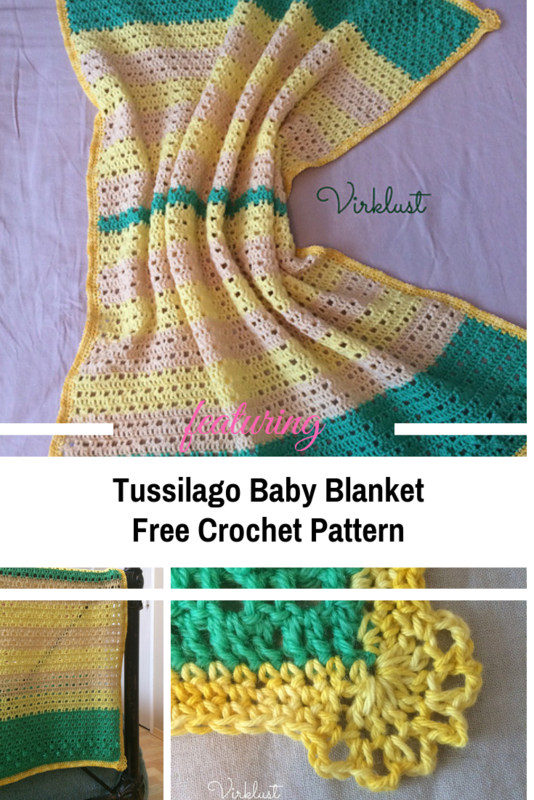 If you know how to chain, single and double crochet, how to slip stitch and how to popcorn stitch, then this blanket pattern will be easy-peasy for you. 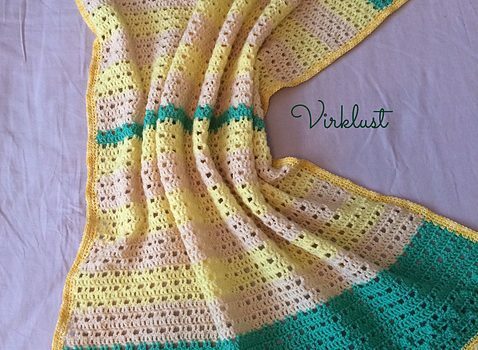 Tussilago baby blanket free crochet pattern by Karin Åshammar/Virklust uses delicate colors that are so perfect for a baby and can be easily be adjusted to any size. Instructions on how to do this are being given in the pattern. The blanket can be made in any yarn and/or size. The pattern includes instructions for how to adjust the size. I used 6 balls of Wendy Merino in 3 colors for the blanket and half a ball of Scheepjes Sunkissed for the border. Thanks to Karin Åshammar for the article inspiration and featured image.